"I’m going to get so much candy on Halloween. Best costume in the neighborhood." 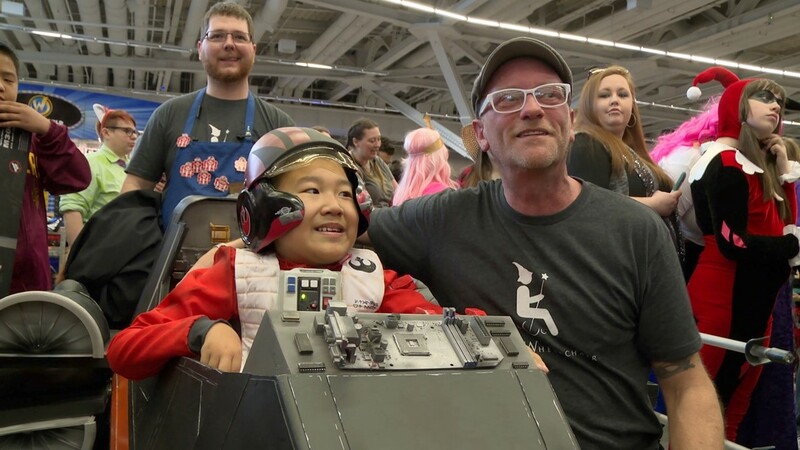 A heartwarming moment took the main stage at Wizard World Cleveland. The builders from Akron Makerspace teamed up with the non-profit Magic Wheelchair for the Lucardie family of Munroe Falls. 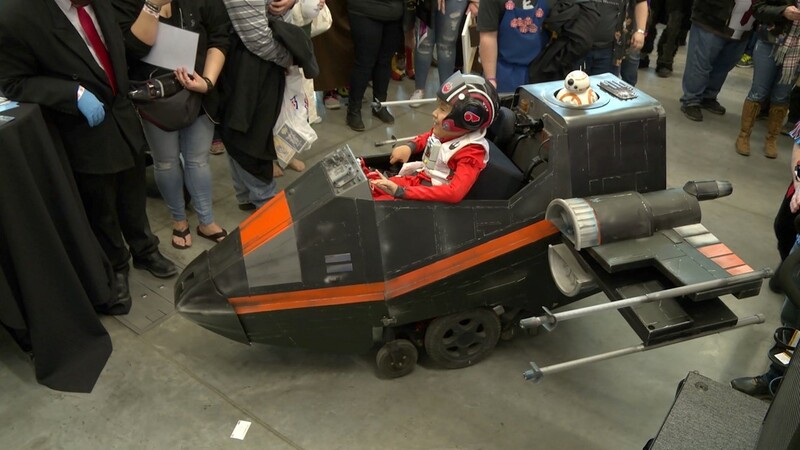 Their son Noah is a huge Star Wars fan, and now his wheelchair can take him to a galaxy far, far away. 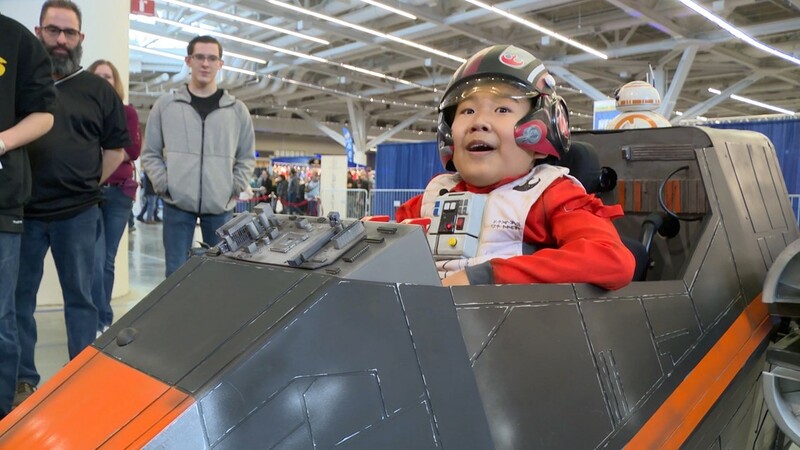 Noah hadn’t seen the X-Wing Fighter that covers his wheelchair until the big reveal, and from that moment, a huge smile never left his face. Noah is unable to walk due to spinal muscular atrophy. 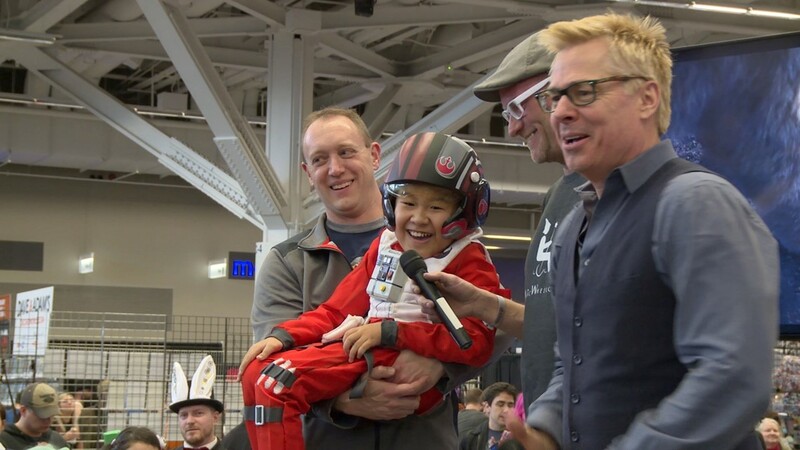 "Noah has a lot of limitations," his dad Nate told us. "He never lets his disability get in his way. We try to do everything we can to give him every opportunity to enjoy things as much as he can." “I love it, I love it,” exclaimed Noah, siting in his X-Wing. This joyful day started over three months ago. Akron Makerspace held build days on the weekends. "This is just something that just warms all our hearts," Warren Provencal of Akron Makerspace said a few weeks before the reveal. "He is an amazing kid and that make it that much better. "It’s 100 percent no cost to the family. It’s just been everyone donating and chipping in time and materials. It’s like 20 bucks here, 20 bucks there, it gets done." And to get it just right took some very long nights in the shop. "Yeah, we are always grappling with sleep a little bit," Provancal said. "All they have to do is think about that kid. He is such a character." "This is amazing," Noah gushed. "This is the greatest time of my life. I’m going to get so much candy on Halloween. Best costume in the neighborhood." "He really knows how to work his wheelchair, zooms all over the place," his dad remarked. "I think this will give him an extra excuse to go even faster."